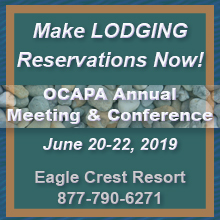 The OCAPA Winter Workshop is Thursday, January 16, 2020 at Salem Convention Center in Salem, Oregon. If you would like to be notified when registration opens for the event click here. Please contact us at 503-588-2430 for exhibitor and sponsorship opportunities.